In January this year, my running club collected targets for the year ahead. They handed out little slips of paper and encouraged us to write down our goals for 2014: run my first marathon, run a half marathon in less than two hours… that kind of thing. After some thought, I wrote that I wanted to run 500 miles in the calendar year. After a little more thought, I replaced 500 with 600. What’s the point of having a target if it’s not a stretch target? I’d been a bit injured in 2013, general wear and tear issues on the left hand side of my body – foot, ITB, hip – meant that I only ran 400-odd miles in the year, with my mileage frustratingly limited over the summer. 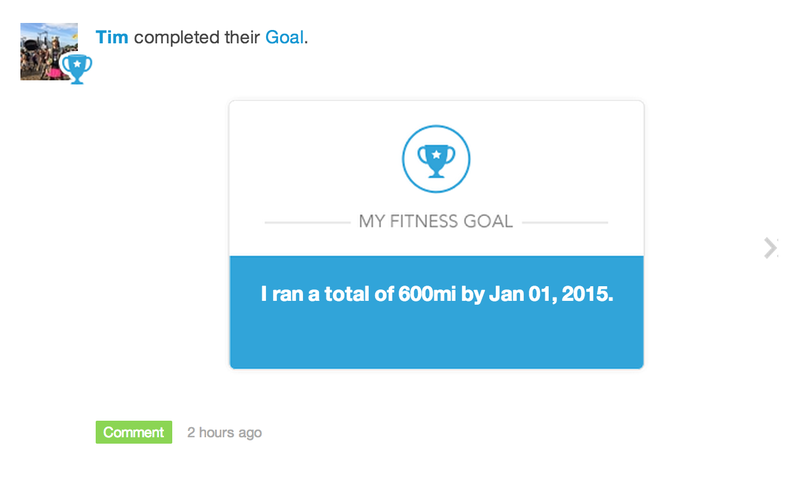 600 miles seemed like a very tall order, but I wanted to give myself something to aim at. Fast forward to 8th October and a gentle 3-miler at lunchtime with some work colleagues saw me smash my target a fair chunk of the year still to go. I’m very pleased. I never need much additional motivation to get off my arse and head out of the door, but I’ve found having a target a useful additional incentive to keep the mileage ticking upwards. It’s nice to achieve something and spend a moment reflecting on that achievement. ….right. Well that’s enough of that. So what do we reckon? With marathon training looming on the horizon, do we think that another 200 miles is possible? 2.5 miles a day, 17 miles a week? It’s a form of madness, I think.